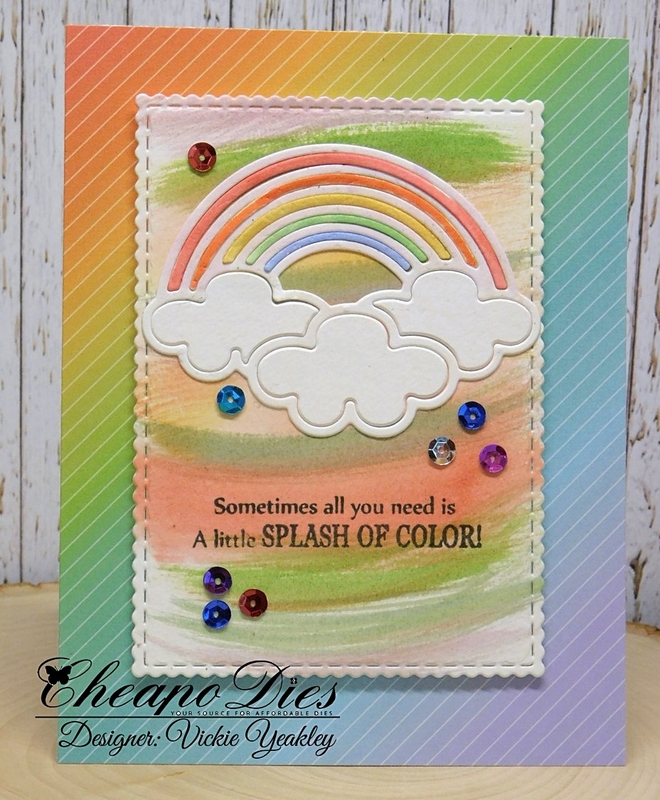 Vickie Y sharing a fun and colorful spring rainbow card with you today! 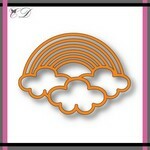 For my card I used the Exclusive Rainbow Cheapo Die. The arches of the rainbow were colored using Copic Markers. The image panel backgroumd was created using distress inks, water, and a wide watercolor brush. Sequins used to embellish. Fabulous card Vickie...and fabulous use of the rainbow die, sucha pretty and 'peaceful card'! !